The freshly painted walls of The Satsang Vidyalaya provided the perfect back drop for the tri-colour this year. 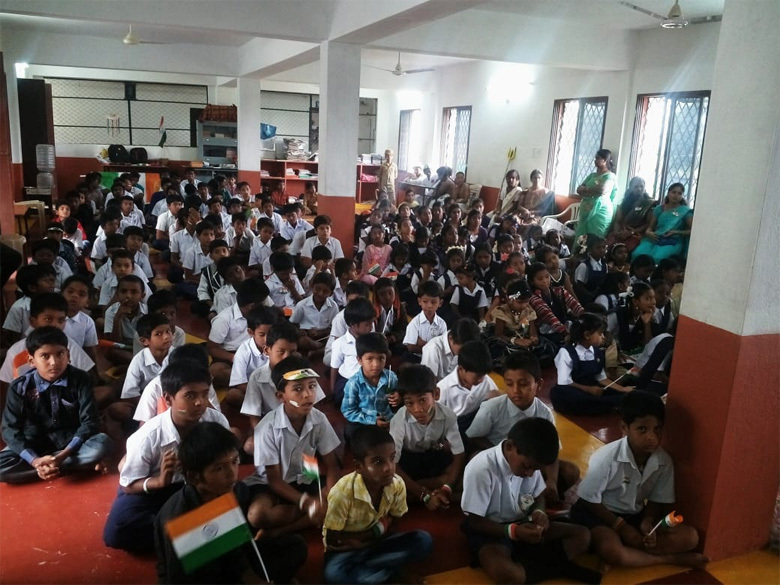 As with every event at Satsang Vidyalaya, this year’s Independence Day celebration was propelled by students. 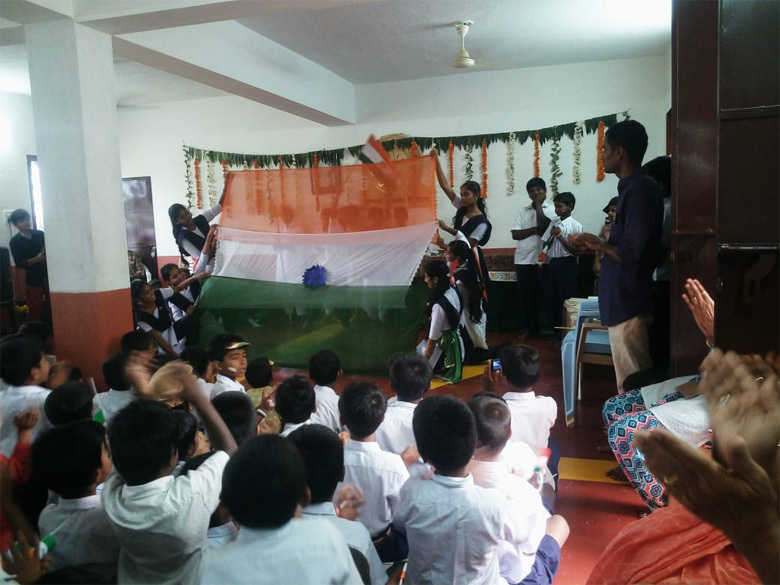 From display boards adorned with artwork about the Independence movement, to the rangoli of India at the entrance to welcome visitors, the school was abuzz with activity. 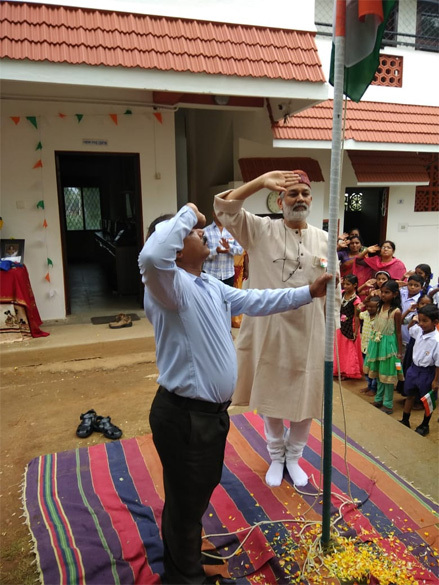 The unfurling of the flag by our Chief Guest and long time supporter, Dr. Ajai Kumar Singh, former DGP of Karnataka, was followed by the national anthem and floral homage to Mahatma Gandhi. Dr. Ajai Kumar Singh inspired the students to uphold the values of freedom fighters and the principles behind the freedom struggle. 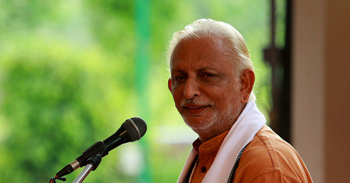 He told students that only ignited minds can bring unity and coordination for the progress of the nation. 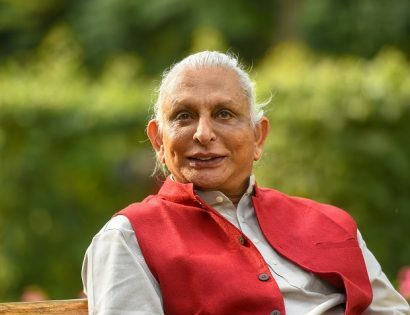 He narrated that Sri M’s ideology and philosophy have a moving impact in this society and children have to work for strengthening society through better education and leading principled lives. As part of the celebrations this year, high school students were gifted a book of their choice. This was followed by a cultural program with songs and dances that culminated in a rousing drama on the Freedom movement. 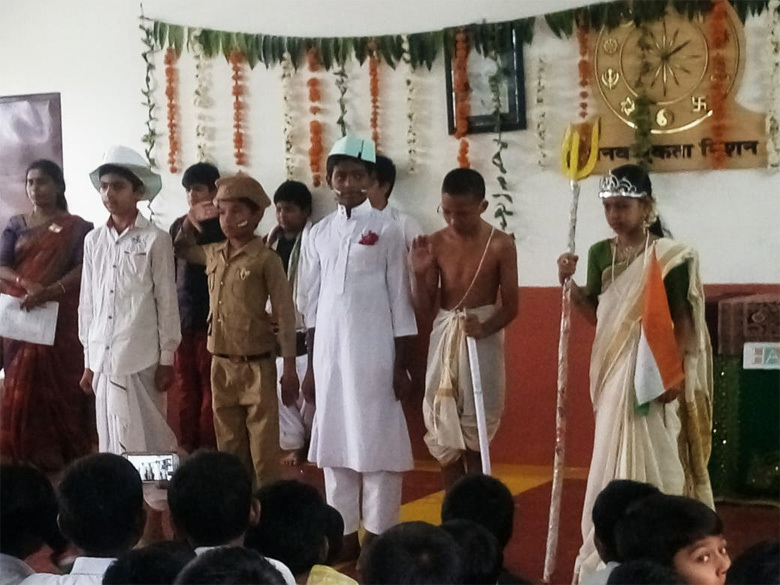 As the hall reverberated with calls of Bharat Mata ki Jai, the audience broke into spontaneous applause for the touching performance by students of the primary section. It was a befitting end to the day.